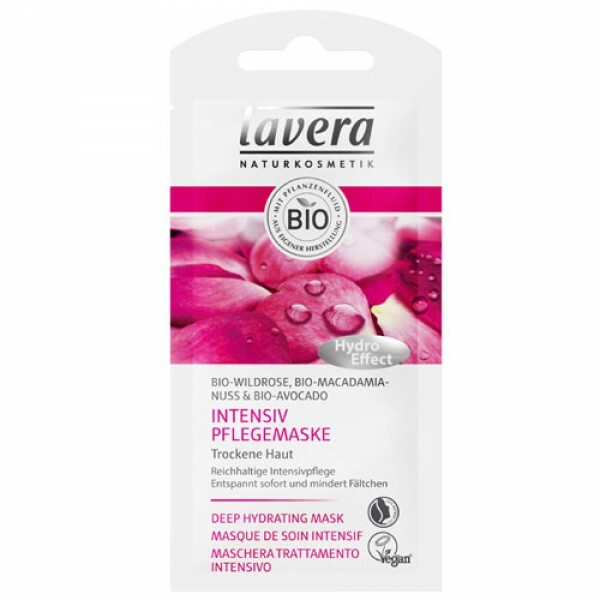 Give a dull, dry and dreary complexion the hydration boost it deserves with the Lavera Deep Hydrating Face Mask. After cleansing, apply generously to towel-dried skin and allow the effectively hydrating ingredients of Rose Flower Water and Organic Macadamia to penetrate your skin for 15 minutes. Gently rinse with warm water to reveal brighter, smoother and softer skin – the perfect pre-party treat for a flawless complexion! The perfect choice for dry skin, the Deep Hydration range delivers vital care with an anti-wrinkle effect and renewed radiance. Extra special plant extracts and fragrant pure essential oils ensure your skin is comforted and revitalised. Lavera Faces is a new and improved organic skin care range specially designed to target the individual needs of each skin type. 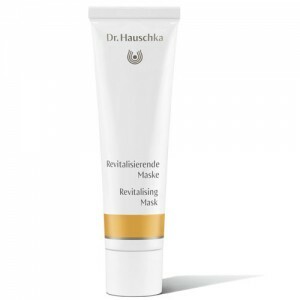 It offers sophisticated formulas at great value prices. 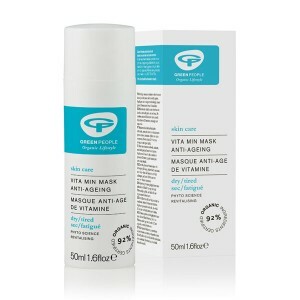 All products are suitable for vegans and certified organic by Natrue. Water (Aqua), Olea Europaea (Olive) Fruit Oil*, Butyrospermum Parkii (Shea Butter)*, Alcohol*, Glycerin, Cetearyl Alcohol, Myristyl Alcohol, Cellulose, Glyceryl Stearate Citrate, Hydrogenated Lecithin, Fragrance (Parfum)**, Persea Gratissima (Avocado) Oil*, Macadamia Ternifolia Seed Oil*, Rosa Canina Fruit Extract*, Sambucus Nigra Flower Extract*, Prunus Armeniaca (Apricot) Kernel Oil*, Simmondsia Chinensis (Jojoba) Seed Oil*, Prunus Amygdalus Dulcis (Sweet Almond) Oil*, Brassica Campestris (Rapeseed) Sterols, Xanthan Gum, Hydrogenated Palm Glycerides, Sodium Hyaluronate, Tocopherol, Helianthus Annuus (Sunflower) Seed Oil, Ascorbyl Palmitate, Citronellol**, Linalool**, Geraniol**, Limonene**, Citral**, Benzyl Benzoate**, Farnesol** *ORGANIC. ** FROM ESSENTIAL OILS. Use 1 to 2 times per week, apply to the cleansed skin of your face, neck and décolleté avoiding the area around the eyes and the mouth. 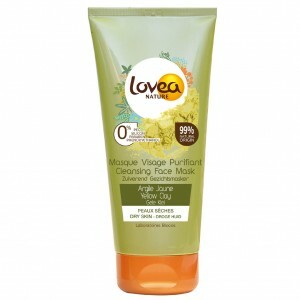 Leave the mask on for 10-15 minutes, then massage into the skin until absorbed or rinse gently with warm water. For external use only.